OOPS! 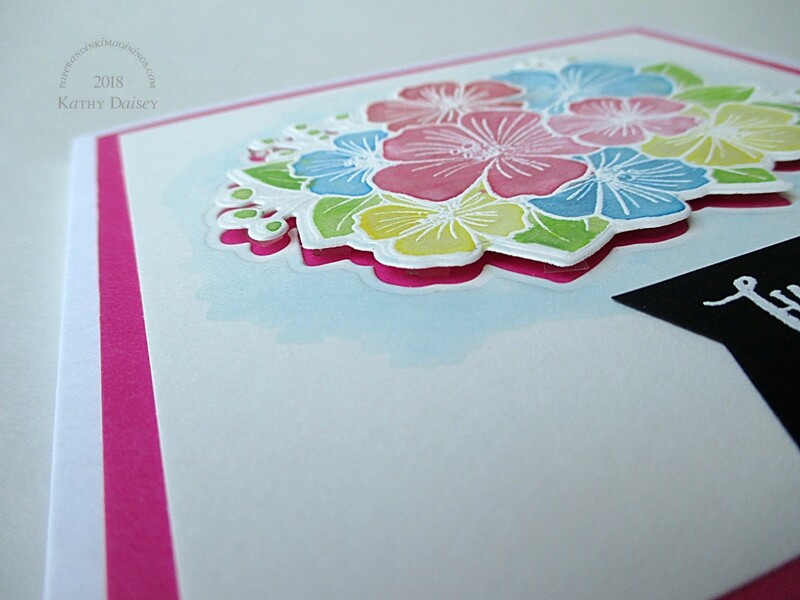 Another bouquet card! 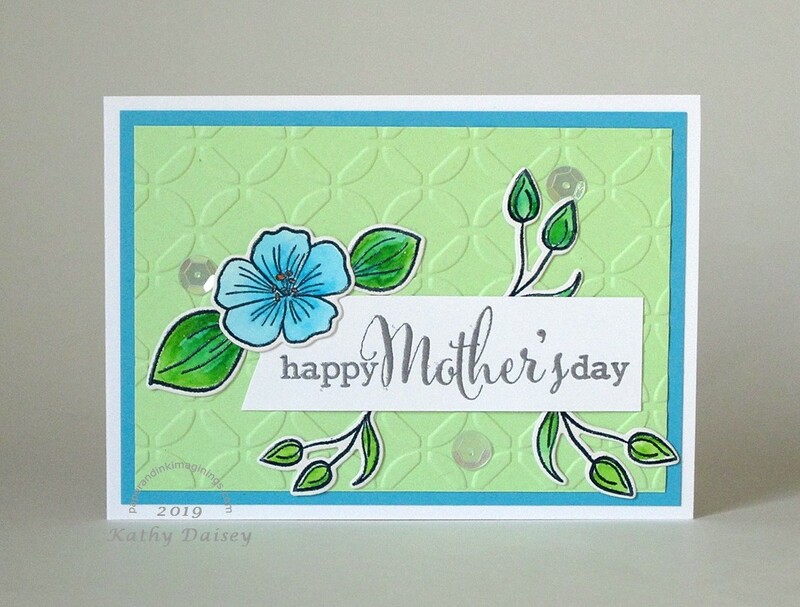 I found a set of Gansai Tambi Pearl Colors (watercolors – the colors are all shimmery) on sale, and this bouquet was already stamped & embossed, waiting in my scrap folder to be the “test piece”. I die cut the bouquet after it was dry, and popped it up on foam. You can see the pink background along the cut line. Supplies: Stamps – Avery Elle, Clearly Besotted, paper – Canson Watercolor, Neenah Classic Crest Solar White, Poptone Razzle Berry, Stampin’ Up! Basic Black, ink – Hero Arts Unicorn, die – Avery Elle, watercolors – Gansai Tambi Pearl Colors, embossing powder – Filigree Fine Art Powder white. 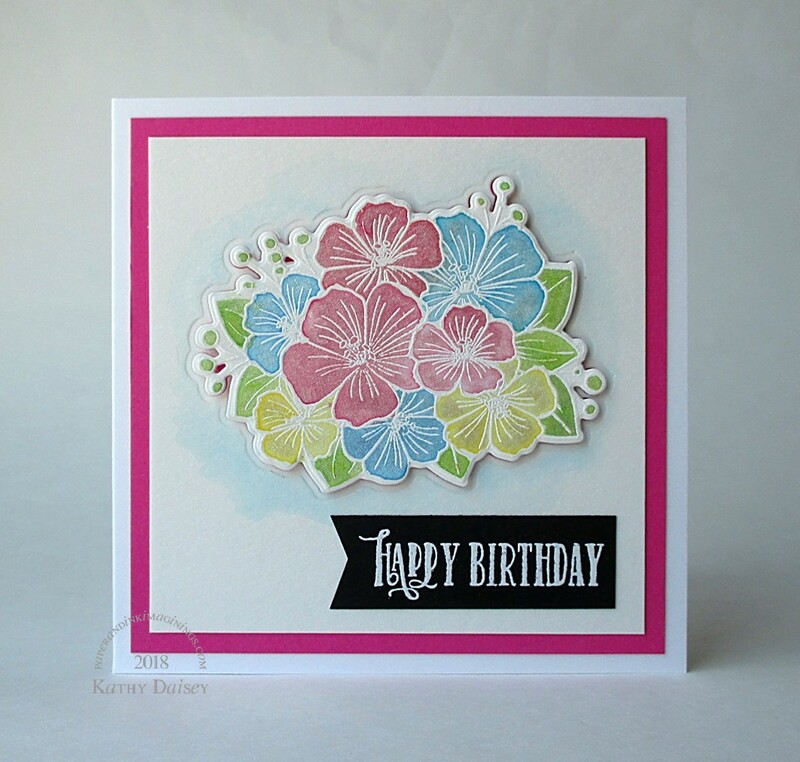 Categories: birthday, card | Tags: Avery Elle, Canson, card, Clearly Besotted, Gansai Tambi, Hero Arts, Neenah, Poptone, Stampin' Up! 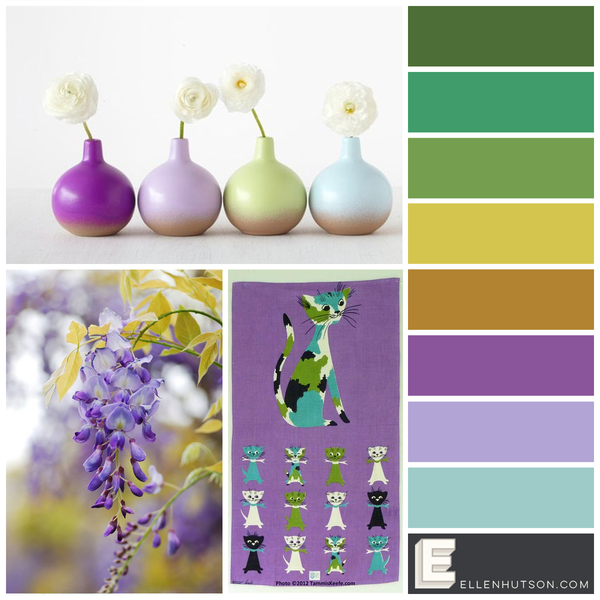 | Permalink. 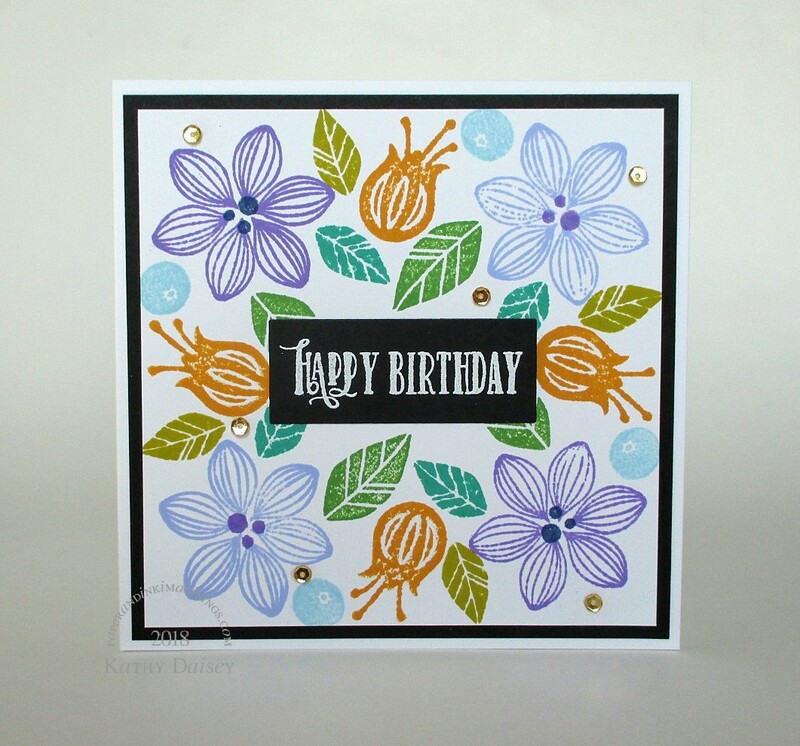 I was inspired by a Jennifer McGuire video, “Custom Stamp Layering”, that I watched over the weekend. 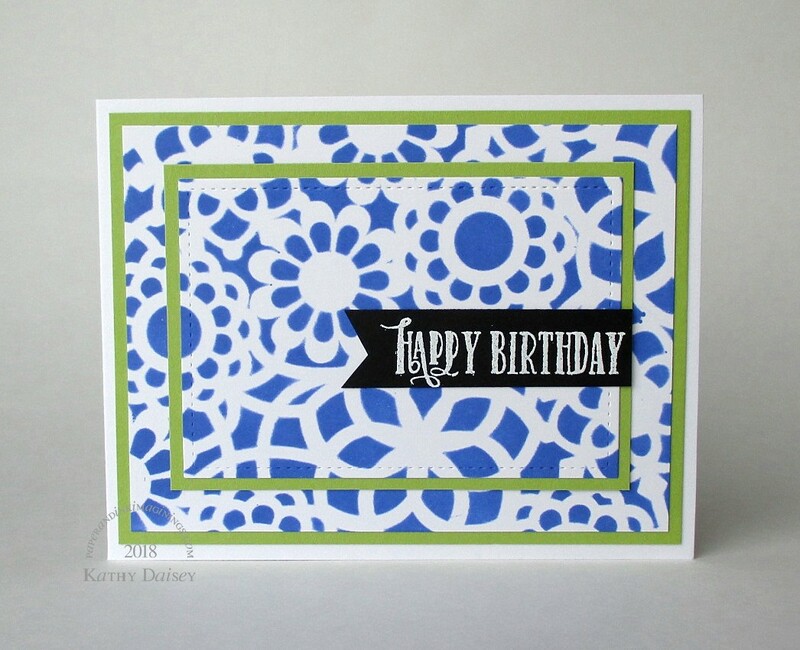 I used a stencil and ink to create the floral pattern. The smaller panel was cut out of the larger panel with a die (and I replaced it with plain white cardstock, so the layers would be supported). I did not use a layer of foam under the smaller panel – I did not want to incur extra postage! 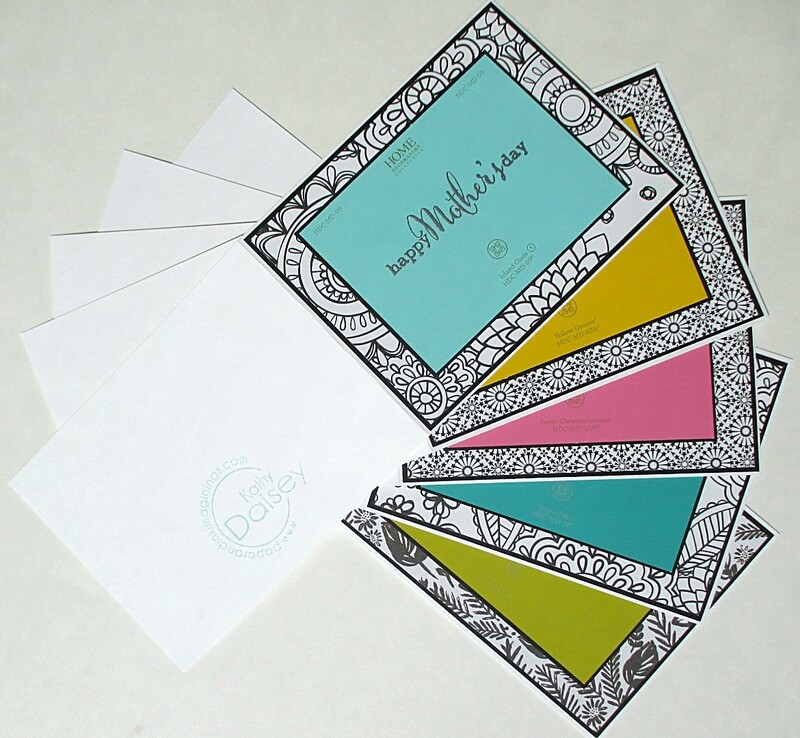 Supplies: Stamp – Clearly Besotted, paper – Neenah Classic Crest Solar White, Poptone Sour Apple, Stampin’ Up! Basic Black, inks – Hero Arts Unicorn, Tim Holtz/Ranger Distress Ink Blueprint Sketch, die – Lawn Fawn, stencil – Heidi Swapp, embossing powder – Filigree Fine Art Powder white. 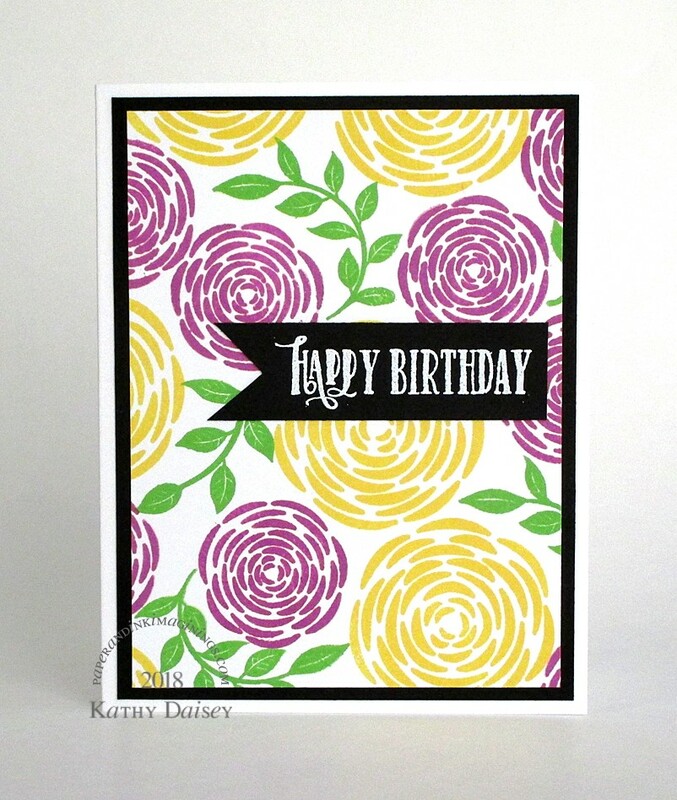 Categories: birthday, card | Tags: card, Clearly Besotted, Heidi Swapp, Hero Arts, Lawn Fawn, Neenah, Poptone, Ranger, Stampin' Up!, Tim Holtz | Permalink.